This week I wrapped up a three-month stay in Middle Earth. My literature class at our homeschool co-op finished reading last week and took an exam on Tuesday. 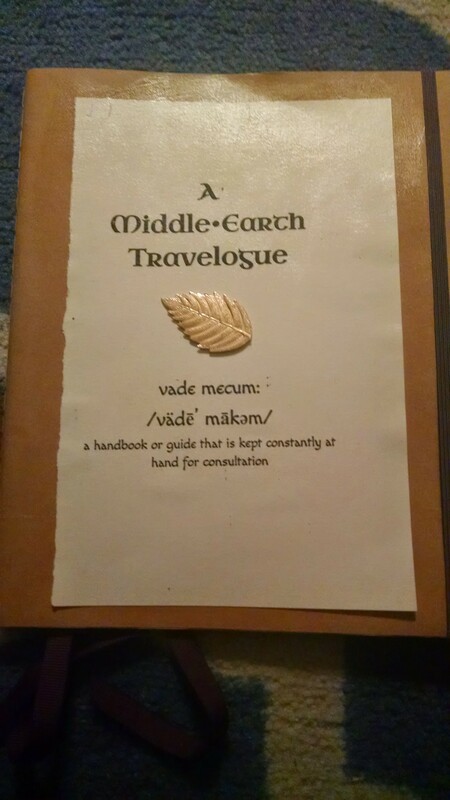 Part of our time involved a “travelogue,” a book I made for each of them with spaces for jotting down notes on all the characters and themes that appear in the books. The names can be daunting for someone who’s never come across them before, so I wanted them to have a “cheat sheet” of their own making to help along the way. Despite some initial moaning, the students took to the book like ducks to water. I was so pleased with the class discussions we had about eucatastrophe and Biblical allusions. I only wish we had more time — once a week is so little. It comes home again and again: if a piece is well-written and truthful in theme, children (or in this case, young men and women) will surprise you with their abilities to comprehend the transcendent truths therein. We should, as parents and educators, have faith in that ability. It has been a privilege to watch this group of students explore Middle Earth this year. Another king-sized linkage post! You have nothing else to do today, right? I think I link to this every year, but Mary at Owlhaven always inspires me with her September Grocery Challenge. She has way more kids than I do and pinches pennies to see if she can get through the month spending just $300 on food. Show Them Jesus: a helpful thing to keep in mind for parents of church-raised kids. It’s harder for them to see the Gospel sometimes. And please go read this…it’s a treasure. Letters to the Children of Troy. 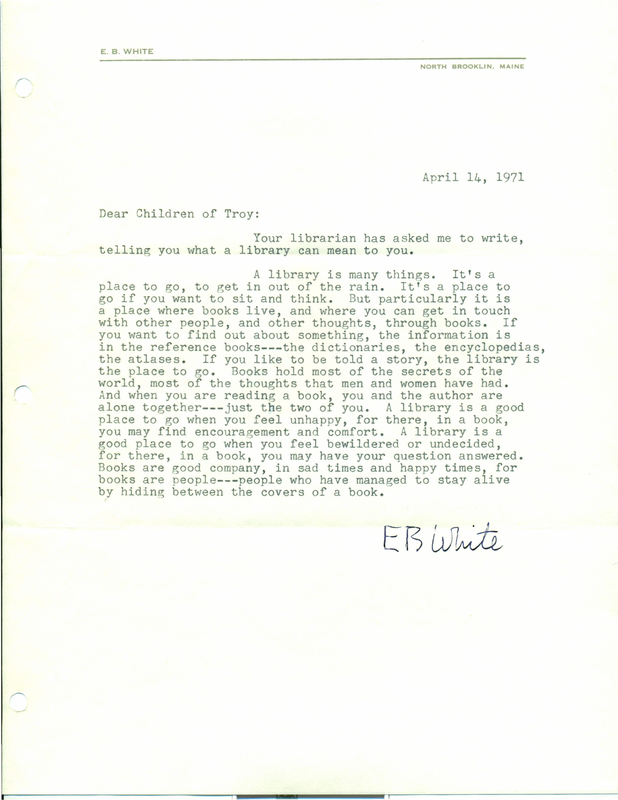 I’ve attached EB White’s letter below. Stand Up and Get the Tissues Ready: I’m sure you’ve seen this by now, but in case you haven’t, here’s a beautiful spontaneous rendition of the national anthem from a choir conference. If you are interested in Charlotte Mason education, the Childlight blog is a nice place to start. 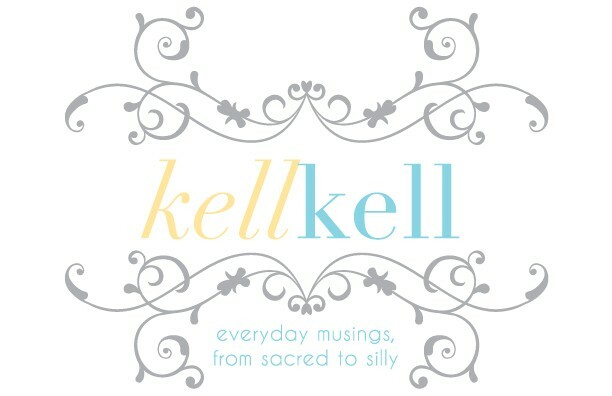 Here’s a good article from the last month called A First-Time Mother’s Perspective.